Would Bloomberg shut down social media at BusinessWeek? Of course, everyone around BW is spending way too much time speculating about what the new owners will do with the franchise. For me, the big question is social media. 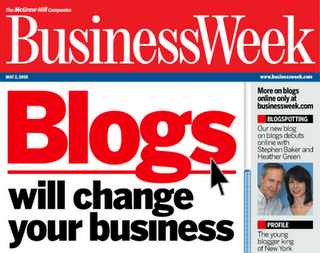 We've been doing more and more of it at BusinessWeek, ever since our first blog cover in 2005. Of course, the biggest BW effort in social media is Business Exchange, the one-year-old platform on which readers create niche sites by contributing interesting articles they find. If social media has a weakness, it's in the domain of facts. People can lie, distort, fabricate, misconstrue. Social media relies on the crowd to sift through conflicting accounts and interpretations, and bring good ones to the surface. Bloomberg has built an empire on an entirely different premise: authoritative and timely reporting of facts--facts that traders can bet $100 million on. Bloomberg doesn't rely on its customers for reporting; it dispatches reporters to Lagos, Kiev, Santiago, and dozens of other places. This is the opposite of social media. So the question for me: Would Bloomberg open up to social media with the takeover of BusinessWeek? Or would they re-orient us toward their style of traditional and authoritative reporting (and kill our blogs)? Skeptics could argue that none of the big business magazines, including ours, have successfully used social media to build a sustainable franchise for the Internet age. If we had pulled it off, the magazine would not be for sale (at this worst possible time in the business cycle). The question, though, is whether there's a future for BusinessWeek, or any of its competitors, without social media. I doubt there is.